Under $75, looking for one I can get multiple charges out of. The one I currently use started off giving 2.5 full charges if I was on 10% but now it struggles to give me one. So I need a new one but looks like more options now. I have this one & love it. Small too. Cosign for the Anker phone charger linked above. Edit: Checked my amazon order history to see how long the first Anker charger lasted me... ordered it in November of 2016... and using it as a primary charger ( due to charge speed) for this entire time... the first one finally crapped out a couple of months ago. Bought another one as a replacement. 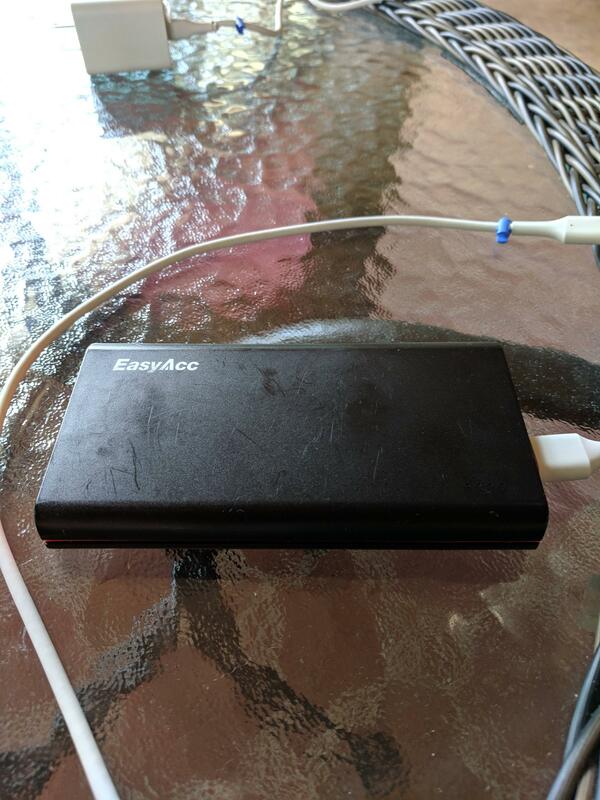 I don't have that Anker charger...but have an older one(that is larger and probably heavier). However...I've had it for a few years and it still works great. When fully charged I can charge my phone 7 times. So yeah...get an Anker charge...they last. I have been very happy with the “Solar Charger,Dizaul 5000mAh Portable Solar Power Bank” that I got from Amazon. It’s about the size of a phone+case so it’s not the smallest out there. I’m on my third one because the other two were stolen by family members. The solar charging is not practical as the main way to recharge it but it’s a nice way to keep the battery full and slowly replenish. I have a 20k version of the Anker linked above and I would definitely buy another one. My son, wife and I have that one and love it as well. For the price, that one cant be beat.